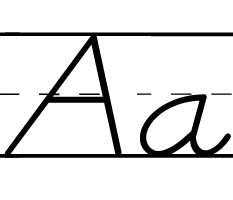 School fonts : Zaner Bloser font or D'Nealian cursive font ? We have the Block Letters and Cursive handwriting fonts you are looking for. 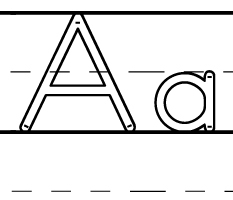 School fonts have been created with the help of teachers, to ensure best results, and ease of use. These typefaces follow the D'Nealian, Getty-Dubay and Zaner-Bloser methods, and current education standards. 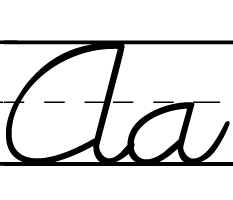 Block Letters (or Print, Stick and Circle, Manuscript) typefaces and Cursive (cursive Writing) enable any computer user to create exercises that follow the guidelines of the D'Nealian ® or the Zaner-Bloser ® approach and letter forming teaching techniques. More recently, we have added GDBasicItalic for the Getty-Dubay method. With these typefaces, you can create your own exercise sheets and study books, with the phrases and curriculum that you consider the most appropriate for learning handwriting. They work within any Windows or Macintosh standard application, and can be used with such programs as Microsoft Word™, Claris Works™, AppleWorks™, and current software. 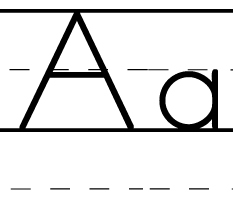 These font sets have been tested, approved, selected, and purchased by school boards all over the nation for entire schools, who use them daily in their curriculum. Most of these typefaces are available as free downloadable font for evaluation. ZMethod complete 30 fonts method from beginner to longhand. 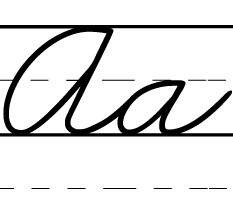 ZNuscript for Manuscript stick-and-circle, and ZWriting for cursive Writing in Zaner-Bloser ® worksheets and exercises. Exclusive OpenType packages, as well as TrueType and PostScript. 30 different fonts, for all contingencies, for a thorough coverage of the complete Zaner-Bloser Method. 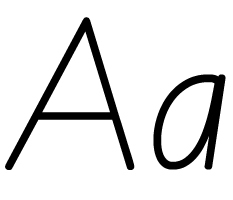 Easy to use, no extra software necessary : all fonts work as simply as your system fonts. A superb 32 font pack that covers Block Letters to Cursive. Exclusive transitional letterforms with Block2Cursive. The typefaces presented on this site can be used in conjunction with the D'Nealian or Zaner-Bloser methods, but they are not manufactured by either one of these companies or their licensees. They are original creations, and therefore although comparable, may differ slightly from the letterforms created by these companies or their licensees. D'Nealian® Handwriting is copyright of Scott, Foresman and Company in the United States or other countries. Zaner-Bloser ® is a trademark of Zaner-Bloser Inc.